Your little rockstar will love rocking out to the lights and music of the Rattling Rockstar Guitar™ from Bright Starts™. Shake up the fun with the colorful rattle beads that make exciting sounds. Need to take the band on the go? Use the easy to carry handle to carry around the electronic guitar. 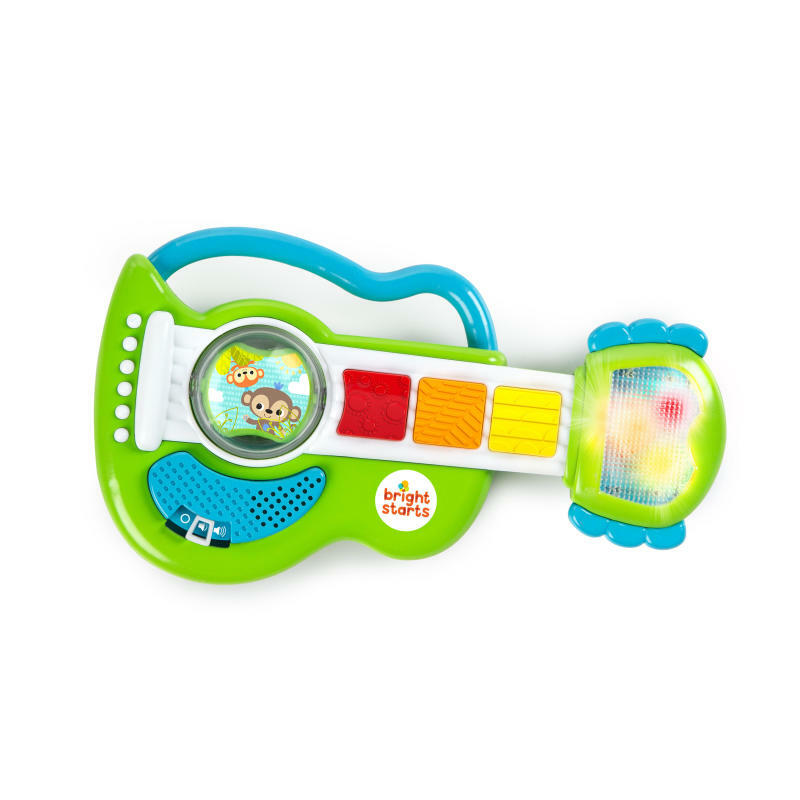 Engage baby’s senses with big colorful buttons that play 6 melodies while lights twinkle on the head of the guitar. Volume control switch allows you to control the volume. Baby’s first guitar is sure to be a hit! Recommended for ages 3 months and older. Dimension (in) 10" x 5.8" x 1.8"